Michigan 4-H youth spent two days exploring ideas and taking part in hands-on activities related to forestry at the Michigan 4-H Forestry Fun Day Camp held July 6-7 at the Ogemaw County Fairgrounds in West Branch, Michigan. 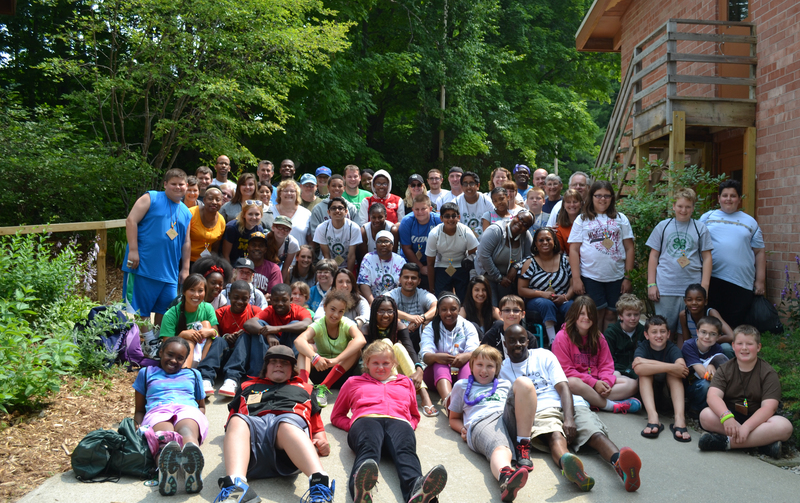 The camp was open to young people ages 10‒15 interested in learning about all aspects of forestry. Ten participants attended representing Iosco, Ogemaw and Roscommon counties. Besides providing hands-on experiences in forestry, the camp taught participants science and math skills related to forest management and even gave them the opportunity to explore forestry-related careers. Campers learned to identify trees, insects and diseases as well as mastered how to take forest measurements and operate a compass. Participants worked in teams to create a mini-forest management plan to present to the Michigan State University Extension District 4 Council members. MSU Extension, the MSU Department of Forestry, Michigan Association of Conservation Districts, the Marlane and Tim Searfoss family, and the Ogemaw County Fair Board collaborated to make the camp possible. The leadership team involved included Extension educators Nicholas Baumgart, Julie Crick, Tracy D’Augustino, Tom Long and Dorothy Munn; MSU Extension 4-H program coordinator Peggy Zettle; Iosco Conservation District forester Andrew Beebe and Ogemaw Conservation District forester Lora Freer. 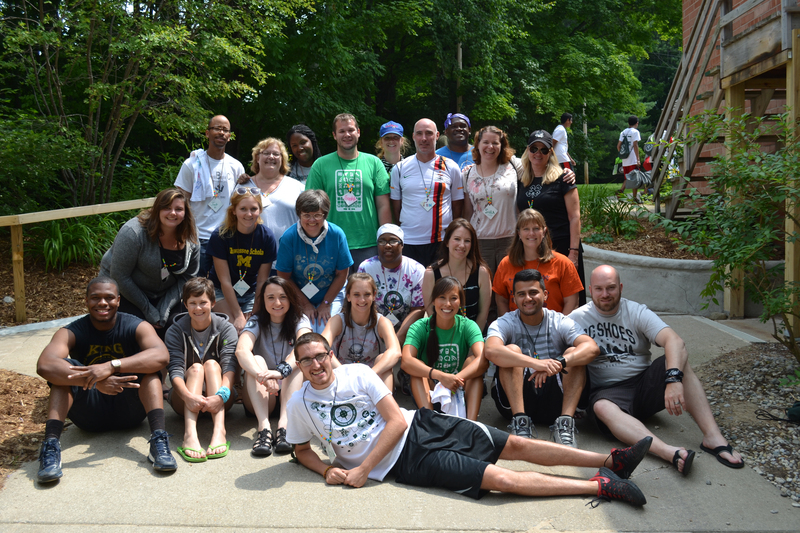 The 7th Annual 4-H Mentoring Weekend brought together mentors and mentees from throughout the state July 18‒20 at the Kettunen Center in Tustin, Michigan. The event boasted 73 participants representing both one-on-one and small group mentoring. The theme of “Backpack to Adventure” allowed attendees to explore cultures throughout the world. Mentees included young people aged 11 to 19. The event provided a chance for mentors and mentees to participate together in various workshops and activities as well as enjoy the opportunities offered on the Kettunen Center grounds such as playing disc golf and exploring hiking trails. Mentors and mentees chose from a wide variety of workshops including such activities as volleyball, looming, archery, basketball, solar model car building, fishing, swimming and canoeing. Attendees made their own salsa and healthy snacks, tie-dyed T-shirts, made superhero masks, edited their own videos and learned the basics of the Chinese Children’s Ribbon Dance. Some chose to test their skills and strength on “B’Onko’s Boot Camp Obstacle Course.” Some participated in “Messy Games” to develop life skills such as cooperation and problem solving. And of course, it wouldn’t be 4-H Mentoring Weekend without the popular Jell-O Wars. A highlight of the weekend was Carnival Night, which included Nintendo Wii and board games, karaoke and a photo booth. Participants also took part in a service project in which they made rubber band “Rainbow Loom” bracelets for military men and women. They also wrote short notes of thanks to them in appreciation for their service to our country. Michigan State University senior Extension specialist Lisa Bottomley provided leadership for the event on behalf of the Capacity Building work group. “The goal of the workshop is for mentees and mentors to have a fun weekend and strengthen their relationship while trying new things and learning together. We provide a mix of recreational and learning activities,” said Lisa. Other members of the leadership team included program coordinator Susan Fenton (co-chair for the event), Extension educator Frank Cox (co-chair for the event), Extension educator Scott Lakin (past chair), program coordinator Dequindre Bell (past chair), and student worker Scott Victor, who worked on registration and other preparation for the event. Extension educators Jan Brinn and Sara Keinath from the Leadership and Civic Engagement work group joined the Capacity Building work group to incorporate the world culture theme throughout the weekend and to lead small and large group sessions. Other staff involved in planning and staffing the event included Extension educator Tom Long, and program coordinators Barb Brow, Lisa Kelley, Anetria Rhodes and Will Shemer as well as program worker Barb Steele and associate program leader B’Onko Sadler. AmeriCorps members involved included Kerry Hochradel, LaTonya Terry, Joe Barczyk and MavaMarie Cooper. Congratulations to all on a successful event!